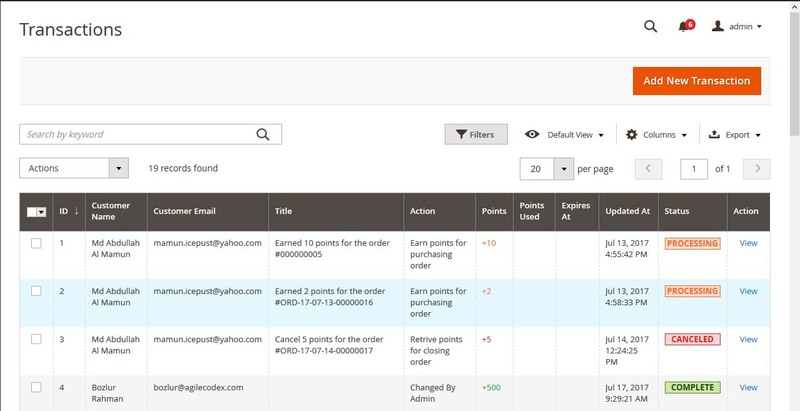 Magento 2 Reward Points module helps you to build a closer relationship with your customers. By rewarding them on purchases, you can increase conversion rate, boost your sales and also increase the number of recurring customers. 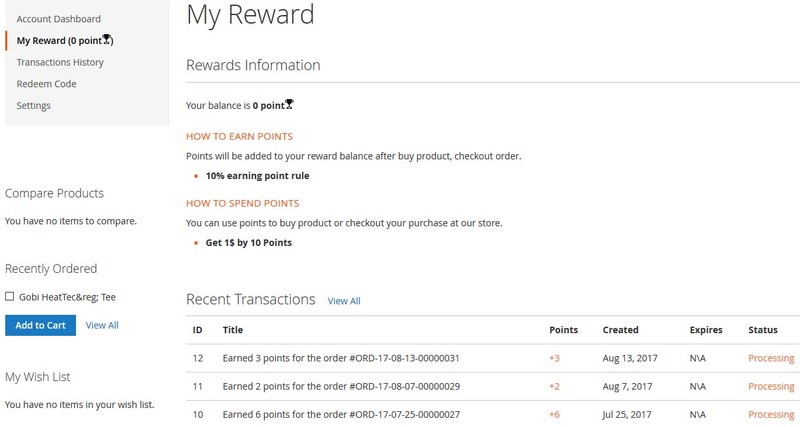 Because of their earned reward point, your customer will prefer to come back again and purchase more with the reward points. It also motivates customers to refer your store to their friends and family. You can divide customer into different group based on their earning point, which helps you to prioritize your top customers. 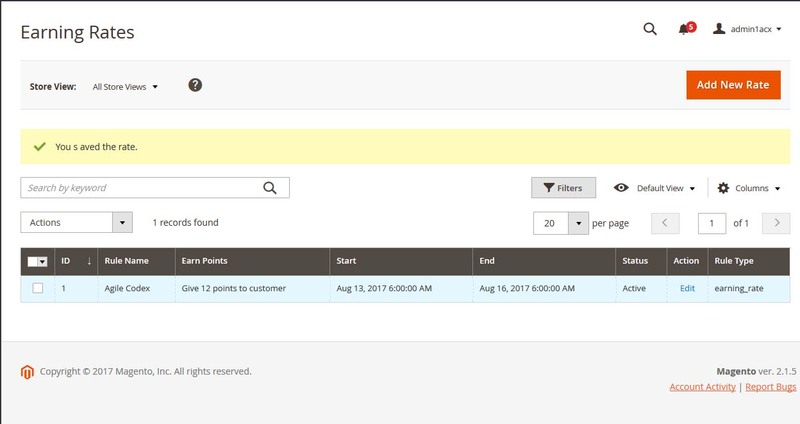 Customer can find out how many points they earned for each order and its status from transection history. The can also find out how many point they will earn for the order from different places like cart, mini cart, checkout page. 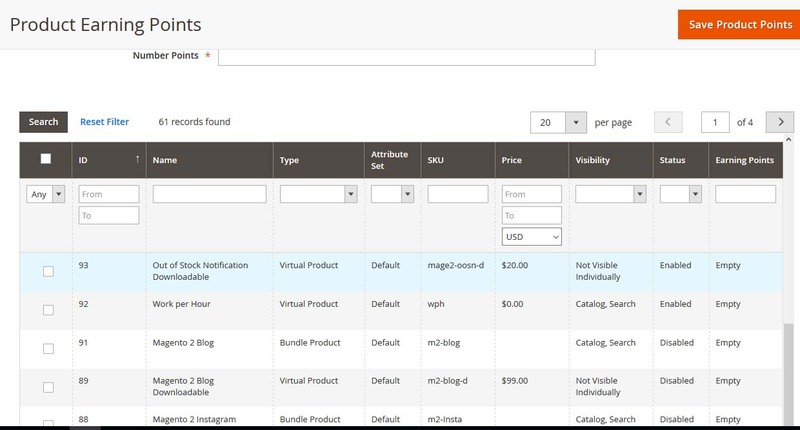 The can also find out point for each product in product and category page. 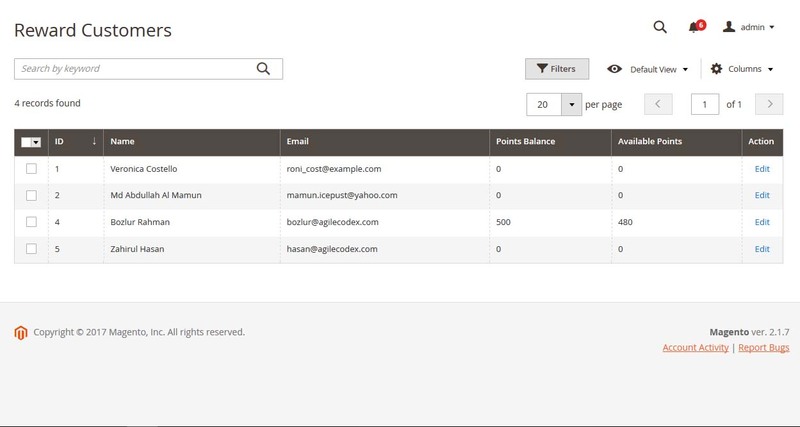 You can track details of transaction including created time, used point, point balance and status, etc. from admin panel. Also, your customer can find out his transection details from account page. 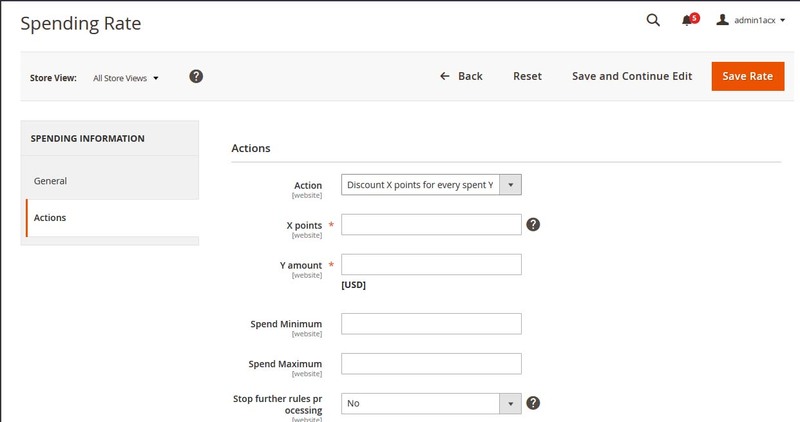 You can also set customer point expiry date and duration if you want. 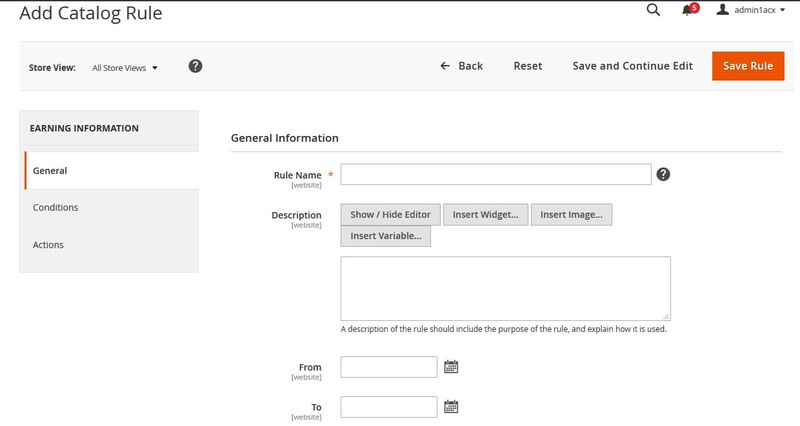 If you need to create an order for one customer manually from backend, our Reward Points extension will allow you to give points to your customer accordingly from admin panel without any limitation. 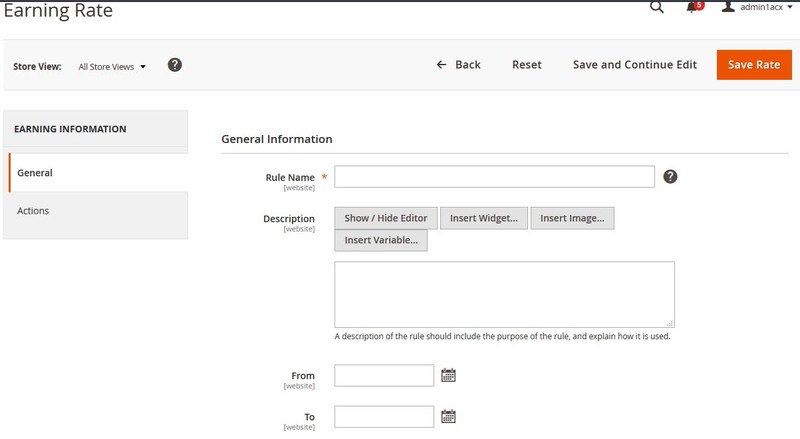 You can set different spending rules using various options.